As luminous on earth as it is in the firmament. Might we soon expect self-illuminating lunar regolithic hardscaping, ionized and prismatic? A future market in moon pavers irradiated with the solar wind. Mini-auroras in the backyard. That or I'd settle for a sequel to Bedrock: The Film. 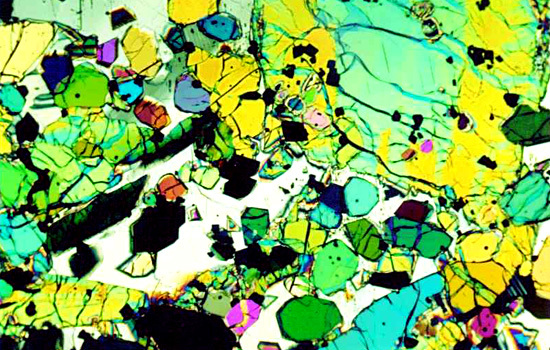 More shimmering microscopic moon rocks here. can you explain, what we see at the first photo? Thanks for sharing these images. They are stunning and very fractal. 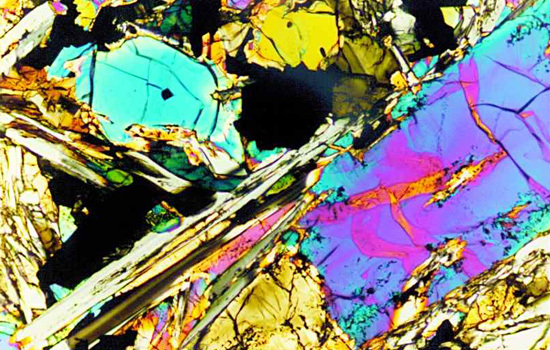 These are truely amazing shots and I have seen most if not all in person during an optical minerology course way back in my distant and receding past. I was the luckiest guy on the planet the day I found a forgotten breifcase from NASA containing a set of hand samples and petromicrographs from our nearest neighbor. it took me 36 hours of pouring over the slides and samples before I finally realized that I should mention my find to the professor and determine why they were collecting dust in case full of spare parts for the microscopes. Soo, where did you get the images? I would love to have a few of these for old times sake. Can they be found on the NASA website? moon: From the Lunar Regolith Simulant Materials: Recommendations for Standardization, Production and Usage Final Report [PDF, 8MB], where the images were extracted. Sample 12005 is thought to be a lava lake cumulate from the lunar surface. The term cumulate means that settling, floating, or accumulation of crystals has occurred. It is very rich in olivine and pyroxene. Most of the larger oxides and plagioclase are interstitial, having grown in the intercumulus pore spaces. 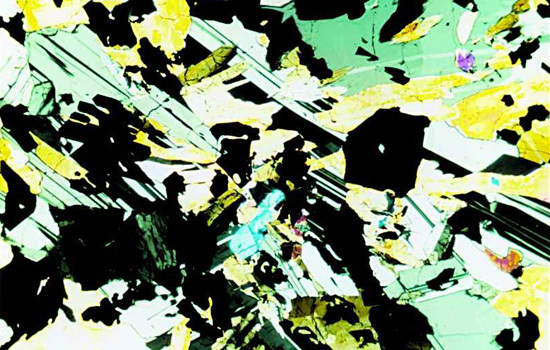 The two largest grains occupying the center are olivine crystals, with tiny, oriented arrays of trapped melt inclusions. 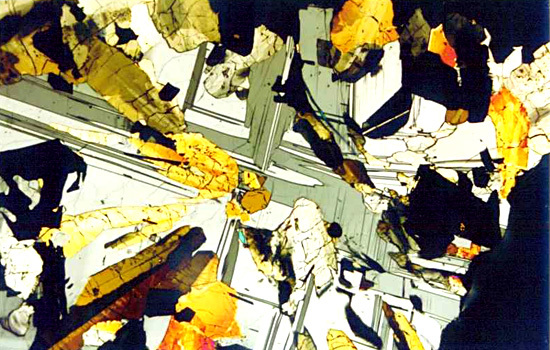 Plagioclase is white and pyroxene is brown. Even the names sound absolutely extraterrestrial. and bambi: I guess my last comment answers your question. The pdf file mentioned above is linked from this wesbiste. Alexander, thank you for the explanation, it is truly amazing, actually is like a piece of art. btw about the "tree of Dianna" that you have mentioned..
Wow! 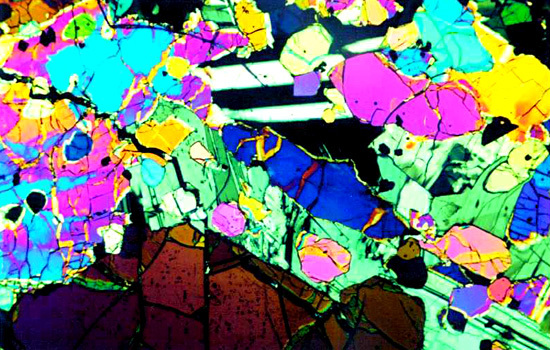 I was looking for lunar sample images, but this article is a wonderful surprise! Ill have to download that PDF as soon as I get a chance. Thanks!